Welcome to the Young & Gilling Ltd. website. Young & Gilling were established on October 1st 1834 by Messrs. Edward John Young & Thomas Gilling. 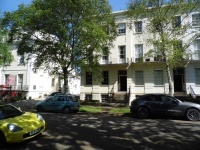 According to records, the firm were at the forefront of turning Cheltenham’s famous Promenade from a residential street into the commercial centre that it is today. In 1946 the company were awarded a plaque & statue by Phoenix Assurance in recognition of 110 years representation of the group. 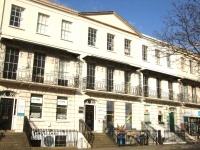 The plaque & statue of a Phoenix rising from the flames can still be seen on the front of the company’s current premises, 3 Crescent Terrace, today. 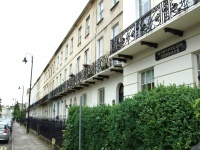 Now over 180 years old, the company is the oldest Estate Agents in Cheltenham and is still independent, providing honest Residential & Commercial Sales, Lettings and Property, Estate & Block Management. Personal, Professional & Quality Service. 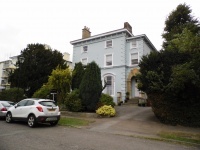 Selling or letting your property with Young & Gilling Ltd. could not be easier. Please click on the email link below, register with us via the link to the side or call us on 01242 521129 for more information, or use the search function to browse our currently available properties. Opening/Viewing times: 9:00-18:30 Mon-Fri & 10:00-14:00 Sat.